Thousands of people visit Haridwar to take a holy dip in river Ganga. This pilgrimage city of the Hindus has many places of interest like Har Ki Pauri, Chandi Devi Temple, Mansa Devi Temple, Shanti Kunj and others. If you are planning to go to Haridwar, then booking hotels through Cleartrip is a wise thing to do. 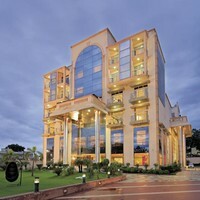 On Cleartrip, you can search hotels according to locality, star hotels and near famous landmarks. 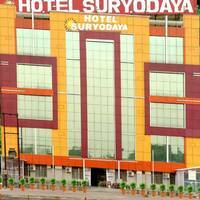 Moreover, we offer some of the best deals on hotels in Haridwar. Haridwar is a religious town and if you are planning for Haridwar, than you must explore the local culture and food, etc. Haridwar hotels near Ganga Ghats are ideal if you want to enjoy the view of this holy river from your hotel. There are many hotels in Haridwar, which are river-facing and comfortable too. 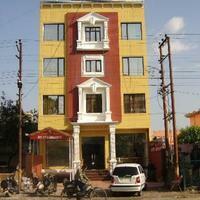 You can easily find Haridwar hotels with parking facilities, room service, restaurant, wi-fi, and AC, etc. on our travel site. You can also find hotels in varying budgets like 3-star, 4-star, and 5-star hotels. You can also book heritage hotels, boutique hotels and resorts in Haridwar. Budget is a very important consideration when booking hotels. One always wants to get the best comfort at a budget price. 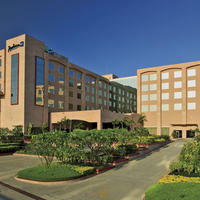 Cleartrip believes in listing some of the best Haridwar hotels providing value for money. To get the best deals with a special offer on Cleartrip, it is advised to book Haridwar hotels in advance. Book your hotel today! Haridwar, as the name suggests, is believed to be the gateway to God. It is in the state of Uttarakhand and is a popular pilgrimage of the Hindus. The city is a perfect blend of beauty, spiritualism, and adventure. This is the place where the “Char Dham Yatra” begins. It is one of the seven Holy places of the Hindus, where people from different parts of India visit for pilgrimage and to take a dip in the holy river Ganges. Thousands of devotees come here every year for pilgrimage and leisure trip. If you are planning a tour to Haridwar, then you can have your hotels booked through Cleartrip, which will help you to do bookings at affordable prices. 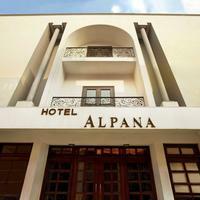 You can find a list of budget and luxurious hotels all under one roof. Cleartrip helps you choose the hotels in Haridwar wisely by providing you important information about the facilities and services they offer. You can opt for a hotel as per your budget, location or any other preference. Booking hotels in Haridwar using Cleartrip discount coupons and instant cash back feature will help you to save money. Location: Being a tourist you must have your hotels booked near the tourist spots so that it becomes easier for you to visit the main spots. 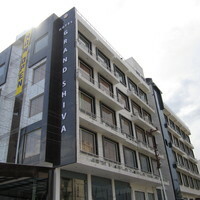 hotels in Haridwar. Throughout the year, people visit Haridwar, but summers see a huge rush. 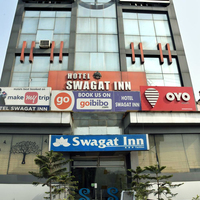 Budget: Being a major pilgrimage in India, all range of hotels can be found in Haridwar. From budget hotels to luxurious hotels, you can find tons of them. Luxury: A luxurious stay with all the facilities provided would give you complete relaxation. Hotels near the holy river Ganga: Having your hotels booked near the river Ganga, would give you an easy access to the ghat. Bathing in the river Ganga, and starting your day with the Ganga Aarti will give you complete peace of mind. Hotels near adventurous sites: Here you can enjoy adventure activities like trekking, river rafting, bird watching, and others. Booking your hotel, nearby the location where such activities are organised would be great, if you want to experience the thrill. giving you the best accommodation and relaxation. The price range you will find at Cleartrip starting from 676 INR to 11124 INR. Haridwar is famous among travellers as it is well connected and easily accessible by various means. The city is well connected via roadways, from all parts of India. NH 58 connects this place to all the major cities in India, and so one can easily reach the city by road. You can also hire a private bus or a taxi. Talking about the rail route, the city has its own Railway Station and is directly linked with major cities like Delhi, Howrah, Lucknow, Kochi, etc. If you want to reach Haridwar by flight, then you must know that Haridwar has no airport, and the Jolly Grant Airport in Dehradun serves as the nearest airport to reach the city. Haveli Hari Ganga Restaurant: Pilibhit House, Ramghat, Haridwar. Big Ben Restaurant: Haridwar Main Road, Devpura, Haridwar. Hoshiyar Puri: Upper Road, Ramghat, Haridwar. Ganga Lahari Restaurant: Gau Ghat Har Ki Pauri, Haridwar. Chandi Devi Temple: It is situated on top of Neel Parvat of the Shivalik Hills and is one of the five pilgrimages of Haridwar. Chilla Wildlife Sanctuary: It is a famous tourist destination and a home to many wildlife species like small cats, tiger, elephant bears and birds. Bharat Mata Mandir: It is situated in Sapt Sarovar in Haridwar and got its name as the temple is dedicated to India. Mansa Devi Temple: It is the temple that is believed to grant the devotees’ wishes. It is one of the most famous tourist attractions in Haridwar and is dedicated to Nag King Vasuki and Goddess Manasa. Har ki Pauri: It is known to be one of the most sacred Ghats. Visitors come from different parts of India come to seek the blessings of the holy river Ganga. The Ganga Aarti is a religious prayer that takes place in the “Har Ki Pauri” Ghat. Sapt Rishi Ashram: It is one of the famous Ashrams and it is said that the River Ganges split herself into seven streams at this place. This ashram is ideal for meditation. Culture: The place has rich ancient religious and cultural heritage. Haridwar is famous for its yoga ashrams that are an integral part of culture of Haridwar apart from festivals and fairs. Markets: The city has the best shopping areas like Moti bazaar, Bara bazaar, Kankhal, Jwalapur and Upper Road where you can buy brass items, utensils, as well as beautiful mementos. The place is also filled with authentic paintings, artifacts and idols of various Hindu gods. Food: The city prefers vegetarian North Indian foods and is heaven for those with a sweet tooth. Aloo Puri, lassi, kachori, paratha, kulfi and traditional sweets like jalebi are some of the popular items of Haridwar. Sattal: Butterfly Museum, Subhash Dhara are the main attractions, and is 213 km from Haridwar. Auli: It is at a distance of214 km from Haridwar. It is known for skiing slopes and also for the longest cable-car ride in Asia. Kasauli: It is at a distance of 240 km from Haridwar. It is located in the district of Himachal Pradesh. Nainital: Known as the “City of Lakes” and is 240 km from Haridwar. Mukteshwar: It is a beautiful hill station in Uttarakhand and is 287 km from Haridwar. Almora: It is 303 km away from Haridwar and is covered from the place, and temples are the main attraction. Haridwar can be visited anytime during the year, but the best time to visit the city is between September and April. Summers extend from April to June when the temperature rises up to 45 degree Celsius. With extreme summer, there is also excess rainfall in the city. Winters in Haridwar are cool and pleasant when the temperature declines to 5 degree Celsius. The winters last from October to March. Tourists visit during this time to attend the Saavan festival. The city faces heavy rainfall. During this time, the tourists are less and the hotels are cheap. It is very cold but still you will find devotees visiting the place. Kumbh Mela: This is celebrated once in every twelve years, and is the biggest among all festivals held in the world. People from all over the world come to take a holy dip in river Ganga. Kartik Purnima: This festival is celebrated in the honor of Lord Vishnu, after the Diwali festival. During this time, people bathe in river Ganga flowing by the ghats as it is considered to be very auspicious. Ganga Dusshera: This festival is dedicated to Goddess Ganga, as it is believed that the holy river Ganga descended on to the earth on this day. In order to show devotion, people bathe in the river Ganga. The best time to visit Haridwar is between the months of August and October as the weather is pleasant during this time. For a pilgrim, the best time to visit Haridwar would be during the Kanwar Mela in July and Diwali in October and during the festivals of Ramnavami and Buddha Purnima from March to May. Which are the top 5 must visit places in Haridwar? Har Ki Pauri, Mansa Devi Temple, Chandi Devi Temple, Udan Khatola and Shanti Kunj Gayatri Parivar are the top 5 places which you should visit during your trip to Haridwar. How can I get attractive discounts on hotels in Haridwar? The best way to book accommodation at discounted rates is through online travel portals. Cleartrip is one such website which offers a wide range of options of hotels in Haridwar at the best price. You can use a valid coupon code to avail instant cashback and other benefits, while booking a hotel of your choice in Haridwar. Can unmarried couples stay in hotels in Haridwar? Not many hotels in Haridwar allow unmarried couples. The ones that allow may ask for ID proof, such as Aadhar card, Voter ID etc. How can I find hotels near Chanda Devi Temple? It is very easy to find hotels near Chanda Devi Temple using Cleartrip. You just need to enter Chanda Devi Temple, Haridwar in the Where field option on the Hotels Page. The lists of hotels near Chanda Devi Temple will be displayed in the search results and you can book the hotel as per your budget and choice. How do I book hotels near Haridwar Railway Station? You can visit Cleartrip website and go to hotels in Haridwar option, and then select Haridwar Railway Station from the landmark dropdown. List of hotels near Haridwar Railway Station will be displayed and you can choose from the listed ones as per your preference. Do Haridwar hotels offer Wi-Fi facility? Yes, there are several hotels like Hotel Ganga Exotica, Hotel Le Central, Guest Hotel, etc. which offer this facility. For more hotels with Wi-Fi in Haridwar visit the Cleartrip website. Also, at the time of booking, it is always better to check with the hotel whether they offer Wi-Fi facility to the guests. What can I buy from Haridwar? Metal and stone idols, spiritual books, copper and brass utensils, jewellery, semi-precious stones, handloom and handicrafts, cane baskets and Ayurvedic medicines are some of the most popular things to buy from Haridwar. Can you name some famous temples in Haridwar? Some of the most popular and visited temples in Haridwar are Chandi Devi Temple, Mansa Devi Temple, Har Ki Paudi, Daksha Maha Dev Temple, Maya Devi Temple, Bharat Mata Temple, Shanti Kunj Gayatri Parivar, Vaishno Devi Temple and many more. Can you list the top 5 shopping areas in Haridwar? The most popular shopping areas of Haridwar are Moti Bazaar, Jwalapur, Kankhal, Bara Bazaar and Upper Road. What are the famous sightseeing spots in Haridwar? Some of the must see places in Haridwar are Har Ki Pauri, Bharat Mata Temple, Chandi Devi Temple, Bara Bazaar, Bhimgoda Kund, Daksha Madadev Temple, Mansa Devi Temple, Sapt Sarovar, Shantikunj, Chilla Wildlife Sanctuary, Udan Khatola and many more. What are some must do things in Haridwar? You can visit Har Ki Pauri and witness Ganga Aarti, you can visit temples or head to some ashram for meditation. Apart from spirituality, you can indulge in activities like trekking, bird watching or visit Rajaji National Park. Do not forget to try the street food in Haridwar, specially the sweets and puri- aloo. For more details, click the things to do in Haridwar . Suggest a few top places to eat in Haridwar? Some of the best places to enjoy local cuisine and food of haridwar are Haveli Hari Ganga, Hoshiyar Puri, Mohan Puri, Hotel Ganga Lahari, Aura the Restaurant, Big Ben Restaurant and so on. What activities and experiences can I enjoy in Haridwar? The holy city has a lot to offer in terms of sightseeing and tourist attractions. Enjoy the best of Haridwar by witnessing Ganga Aarti, and by indulging in other adventure activities like trekking, bird watching, etc. How to book a hotel for international guests near Bharat Mata Mandir Haridwar? Visit Cleartrip website and go to hotels in Haridwar option, and then select hotels near Bharat Mata Mandir from the landmark dropdown. These hotels offer all the amenities to make the stay a comfortable one. 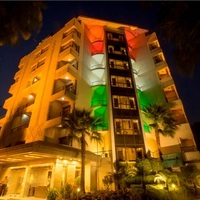 You can view a list of all the hotels near Bharat Mata Mandir and choose the one best suited for international guests. From where can I go for trekking in Haridwar? To experience a memorable trip, indulge in an exclusive trekking adventure for 7km at Raja Ji National Park. For booking and other details related to trekking in Haridwar , log on to Cleartrip website and avail the best deal. Can you name some 4-star hotels in Haridwar? 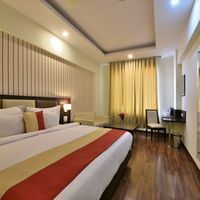 Some of the 4-star hotels in Haridwar are The Haveli Hari Ganga by Leisure Hotels, Regenta Orko's Haridwar by Royal Orchid Hotel, and Ambrosia Sarovar Portico. For a hassle-free booking experience, go to the Cleartrip website or use the app. Can you list some hotels in North Haridwar? 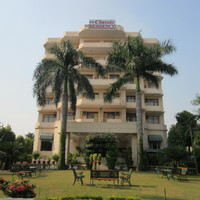 Hotel Rishi Ganga, Guest Hotel, Brij Lodge are few of the hotels in north Haridwar . For more options, you can choose North Haridwar from the ‘Hotels by Region’ drop-down on Cleartrip website and book the hotel as per your preference. 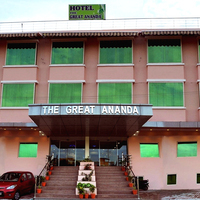 Can you name some budget hotels in Haridwar? 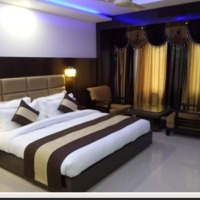 If you are looking for budget hotels in Haridwar, you can choose between Hotel Urmi, Hotel Sun Shine, Hotel Chitra Grand, and so on. There are some budget hotels which offer pay@hotel feature. What are the top hotels to stay at Haridwar? Looking for the top 5-star hotels in Haridwar? 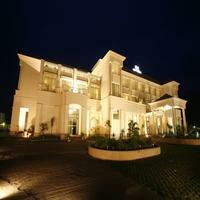 Then you can choose between Radisson Blu Hotel Haridwar, and Aalia Resort. To book your travel and accommodation at any of these hotels in Haridwar, use the Cleartrip app or website. How far is Hari Ki Pauri from Haridwar Railway Station? Har Ki Pauri is approximately 2 km from Haridwar Railway Station. The travel time between the two places is only 10 minutes. Can you list the hotels with Spa in Haridwar? 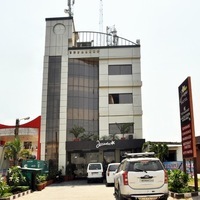 Gardenia Hotel Spa & Resort is one of the hotels with spa in Haridwar. For booking a comfortable stay in Haridwar, log on to Cleartrip and choose the perfect accommodation as per your preference. What are the top places of interest in Haridwar? Sightseeing spots like Har Ki Pauri, Bharat Mata Temple, Chandi Devi Temple, Bara Bazaar, Bhimgoda Kund, Daksha Madadev Temple, Mansa Devi Temple, Sapt Sarovar, Shantikunj, Chilla Wildlife Sanctuary, Udan Khatola, cinema halls like RR Cinemas, Wave Cinemas, Chitra Cinemas, Sangeetha Theatre, amusement park like Crystal World are some of the top places of interest in Haridwar. Can you tell me about some resorts in Haridwar? 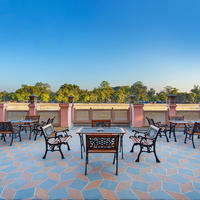 Do check out the resorts in Haridwar like Orchard Resort, Sterling Haridwar, Della Resorts and more. For a comfortable stay in Haridwar, log on to Cleartrip app or website and grab the best deal! Since Haridwar is a religious destination, alcohol is prohibited here and there are hardly any bars or pubs here. But you can still enjoy the nightlife in Haridwar by visiting movie theatres, bars in top class hotels, ghats and temples which organize aartis, and you can stay there till late night. You can even visit Har Ki Pauri, which remains active till late evening. Are there any heritage hotels in Har Ki Pauri? Yes, but there are not many heritage hotels in Har Ki Pauri. 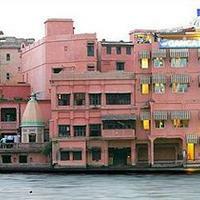 One of the options is The Haveli Hari Ganga By Leisure Hotels. For booking heritage hotels in Har Ki Pauri , you can visit Cleartrip.com. Is room service available at Haridwar hotels? Almost all hotels in Haridwar offer room service to the guests. Hotel Rishi Ganga, Hotel Krishnaji, Brij Lodge are few hotels which provide this facility. 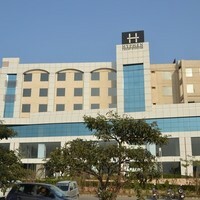 For more hotel options, visit Cleartrip website and click hotels with room service in Haridwar. Do hotels in Haridwar offer swimming pool? Yes, there are some hotels in Haridwar which offer swimming pool. 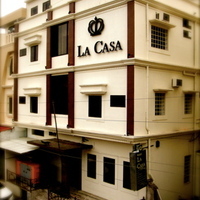 Classic Residency is one such hotel. 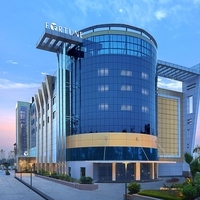 You can check out more hotels with pool on Cleartrip. Where can I go for weekend getaway from Haridwar? One can plan a wonderful weekend trip from Haridwar to places like Delhi, Dehradun, Kanatal, Chandigarh, Shimla, Rishikesh, Panchkula, Kasauli, Patiala, Mussorie, Nainital and many more.